Click for some fun lifetime achievements of Stevie Nicks…. Click for video…the Nicks – Rabe Shawl Twirl Scene…. Click for the finale “The Seven Wonders” as sung by Stevie Nicks…..
AHS’s Lily Rabe on the Stevie Nicks Shout-out — Vulture. Entertainment Weekly interview with Ryan Murphy…. Stevie Nicks commentary on being labeled a witch…. Stevie Nicks reportedly will guest star on the series….Click here…. Click for story in International Times about witches…and Stevie…and AHS…. 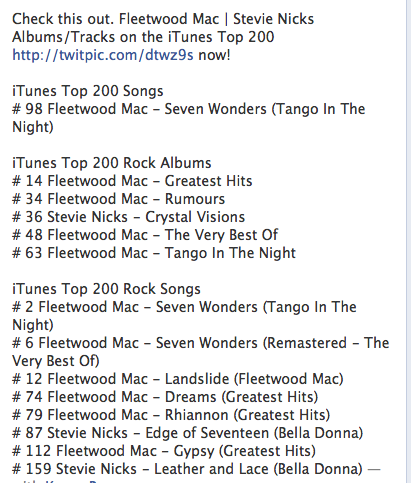 “Seven Wonders” hits the charts again!! !